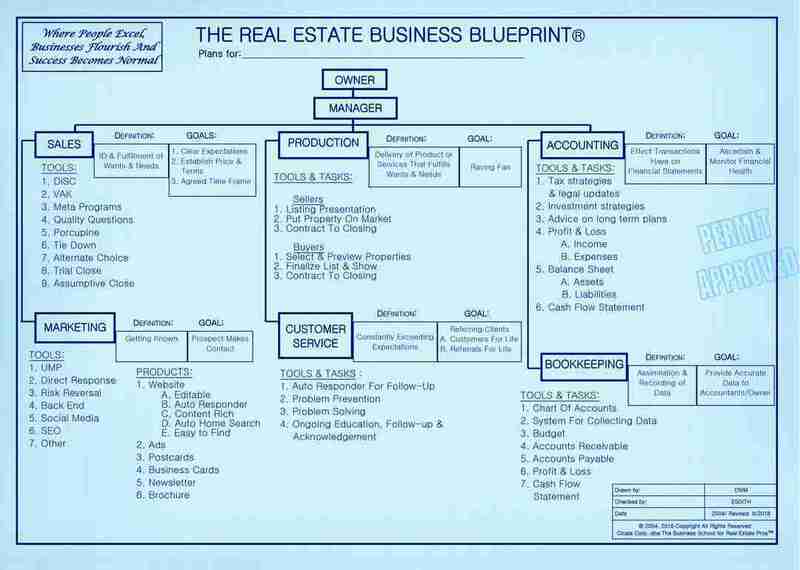 The Real Estate Business Blueprint® shows the six components of a business and the definition and goal of each component. Included in each component are the tools and a detailed explanation of how each tool functions in that particular component. It is a diagram that shows how to build a real estate business. The relevance of this course is to provide agents and brokers, who instead of doing everything on their own, learn how to develop a high-performance team. A key in being successful at running a real estate business is to find others who are strong where you are weak and only work on activities where you are really good or excellent. This course gives agents and brokers a new perspective on their business.